In my last post I simply discussed you about the 10 tips to get more Facebook fans. I think those methods are perfect set of tips to get fans. But it takes time for readers to come to your site and read. Then they have to decide whether it is deserved to have a like from them. But according to mine, if you courage enough you can easily have nice set of people. But today my main concern on 9th tip that is "Join Some fan exchanging networks on Facebook." Today I am going to introduce you set of exchanging networks in the internet some of which I have experience bit. But I will promise you if you work hard you can get at least 500 likes with in a week. I also tried only one or two and getting about 50-60 likes per day. I will Introduce them according to my preference. If you can join all of them. I have introduce this site few weeks back in one of my posts please read it. For further detail. This is also a nice application on Facebook which gives you huge number of fans. Here you are getting 2seeds per like and no chance to earn in other ways. Therefore it makes visitors to like in others pages. Then all are succeed. This is very simple and all the likes you have are shown in your profile list. Therefore it is easy to calculate the number of likes you got from page. Truly speaking I had got 56likes in two days. Then all my seeds had finished. Therefore make sure you have save more number of seeds. Here you can earn coins by different ways. If you see there are Facebook likes, Google+ likes, You tube and several ways . So you can try either way and give only your facebook fan page. This is also a site with different ways to earn coins. At the same time I think it give good number of likes to you. Likerr is a website with all the social media involvements. Therefore you can earn more money by watching videos, and. Also this gives a feature target traffic. This is a site with different kinds of coin earning methods. As I could see, there were huge list of methods. You can earn anyway you like. Here you have provided a special bonus if you are a daily user. I think this is also a nice web with lot of social exchanges. You can even ask others to share your post on facebook. This is also a same to the most of the site mention above. But the chances of having fans seem to be less still. 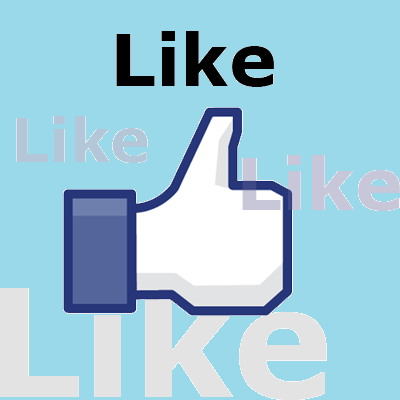 Easy likes4you is a site with all the stuff I mention earlier. I think you can earn more and more easily. I have provided only a few site to get your fans. I suggest you that if you have any other site inform me for further development. Enjoy more and more fans. Congradulations on your New Domain. i like your new domain name. keep it up. thanks you lot Kamran. I think unless your hopes , I would be dissopointed during the changing period. How to make own banner for your site.....? How to select a domain name........? What is a domain name.....?